Drakos ransomware is the cyber threat that encrypts your files and demands for $1200 in Bitcoin or DASH. However, this is not the only feature of this virus and you need a thorough system scan to eliminate all additional activities and possible damage. Drakos ransomware is the virus that was discovered in January 2019 as developers call it GandCrab Raas. However, this is not related to GandCrab ransomware at all. Drakos ransomware is a file-locking virus that demands 1,200$ worth of Bitcoin to return encrypted files. This information is revealed in the ransom note that gets placed on the screen when your encoded data receive .drakos file extension, and the encryption is done. 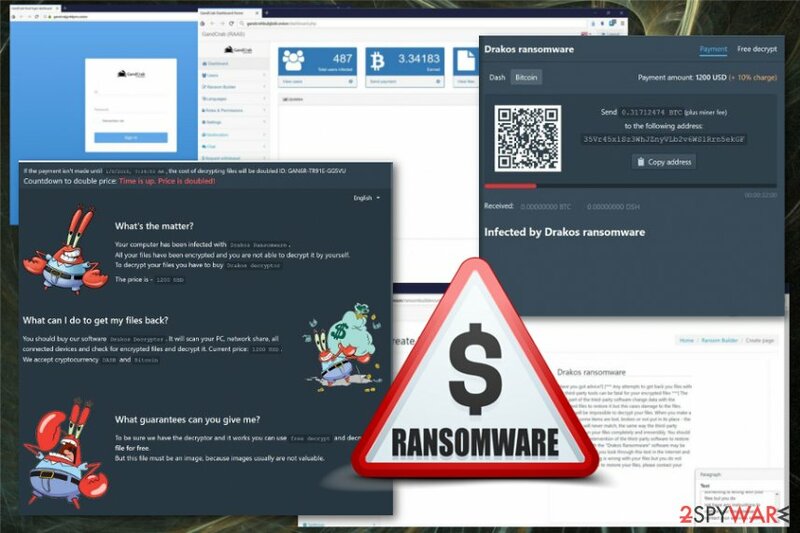 The ransom message and other alerts get displayed in separate browser windows that show GrandCrab ransomware icon on the screen but the relation with this ransomware family is rather imitated, and there are no similarities besides the displayed icon. In messages, virus developers reveal more details about the attack and demands to pay the ransom in DASH or Bitcoin if the victim wants to get their files back. Cryptocurrency is the primary goal of ransomware-type virus developers. Once Drakos ransomware infiltrates the targeted system, it starts searching for data that can be encrypted. For this process, virus employs AES encryption algorithm and changes the original code of your photos, videos, documents or even archives. When your files get encoded, you can find .drakos appendix added at the end of each file. This file-locking is the main process Drakos ransomware is designed to perform because encoded data is the reason developers demand victims to pay up. You cannot notice the process but when it is done your screen starts showing various messages from virus developers. [Have you's got advice?] [*** Any For Attempts to the get back you files is with the THIRD, CAN-party tools the BE fatal for your encrypted files is ***] of The will most part of the the tried-party This is a list of cases of damage to the files. Finally it will be impossible to decrypt your files. It will make it that you can’t make it a matter of course. 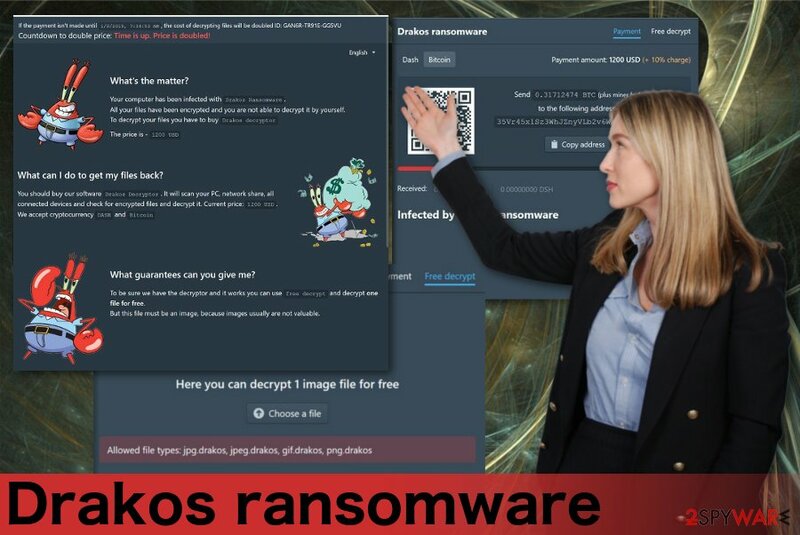 The third-party software for restore files is encrypted with the “Drakos Ransomware” software. If you look for your files, please contact your antivirus support. Additionally to these messages, the main ransom note is delivered to your screen and then Drakos ransomware states about your possibilities. To get your files back, you need to pay for Drakos decryptor that might not even exist, and the price is 1200$ in DASH or Bitcoin. However, paying shouldn't be an option because criminals tend to disappear after the payment. Drakos ransomware ransom note also delivers pictures with Mr. Krab from the popular cartoon, and all messages contain the name GandCrab to fake the association that is not proven what so ever. Although there is a suggestion of free decryption and other promises, you should ignore that and move on to virus removal. Many researchers understand that data recovery is the most important issue when it comes to ransomware attacks, but you should focus on Drakos ransomware removal first and then worry about your files. Remember that any data recovery on the infected system may lead to permanent data loss. Remove Drakos ransomware by scanning the system with anti-malware program. After that, you need to make sure that your device is working correctly, so employ PC repair tool like Reimage and scan the system yet again. This way you can double-check and clean the machine entirely. Drakos ransomware is a cryptovirus that appends encrypted files with .drakos file extension. While nowadays online is not the safest place, you should pay more attention while browsing on the internet. Especially when it comes to emails, private messages or social networks. When you are not expecting the email, and you still receive the notification from a company or service that include file attachments, you should be more cautious while opening those emails. shortened hyperlinks in the email message directly. Unfortunately, when you open the email and download the file attachment to your device directly, you receive the message about content enabling that triggers malicious macros and the automatic installation of the malware script that infiltrates the system with ransomware distributing malware or direct payload of the intruder. Don't forget about the Drakos ransomware virus and the possible changes on your system that include alteration in the Windows Registry or even system folders and files. These changes make a virus more persistent, so we recommend entering the Safe Mode before scanning the device. However, you need to employ professional tools for best Drakos ransomware removal results. Reimage, Malwarebytes MalwarebytesCombo Cleaner or Plumbytes Anti-MalwareMalwarebytes Malwarebytes can work this job because these programs can indicate possible threats, remove them and detect other issues with your machine. When you remove Drakos ransomware, make sure to double-check and scan the system again. If you are not sure that the PC is malware-free, you risk getting your files permanently damaged. Log in to your infected account and start the browser. Download Reimage or other legitimate anti-spyware program. Update it before a full system scan and remove malicious files that belong to your ransomware and complete Drakos removal. When a new window shows up, click Next and select your restore point that is prior the infiltration of Drakos. After doing that, click Next. Once you restore your system to a previous date, download and scan your computer with Reimage and make sure that Drakos removal is performed successfully. Guide which is presented above is supposed to help you remove Drakos from your computer. To recover your encrypted files, we recommend using a detailed guide prepared by 2-spyware.com security experts. ^ Thomas Koulopoulos. Should you pay ransomware? This answer might surprise you. INC. Advice, tools and services that help business grow. This entry was posted on 2019-02-07 at 07:11 and is filed under Ransomware, Viruses. You can quickly scan the QR code with your mobile device and have Drakos ransomware manual removal instructions right in your pocket. 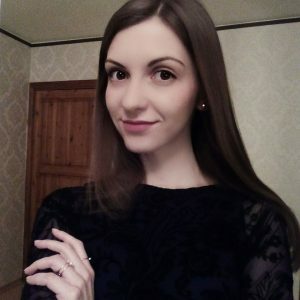 How did you remove Drakos virus?